Connect the V5 Robot Battery to the V5 Robot Brain and then connect the brain to the computer. 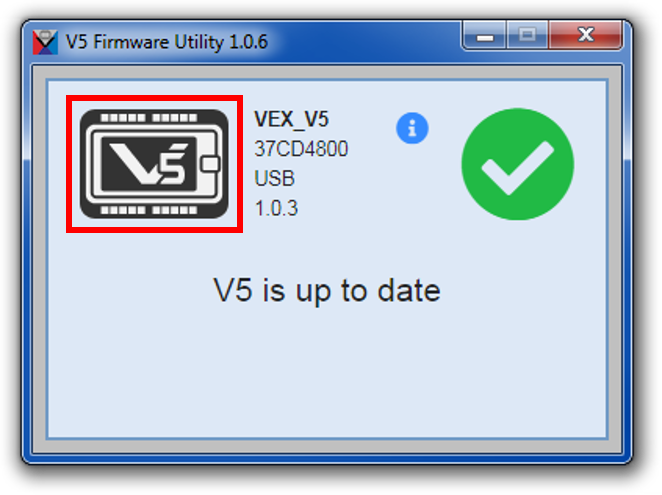 Open the V5 Firmware Utility and check that the V5 Robot Brain is up-to-date and install the latest firmware update if needed. 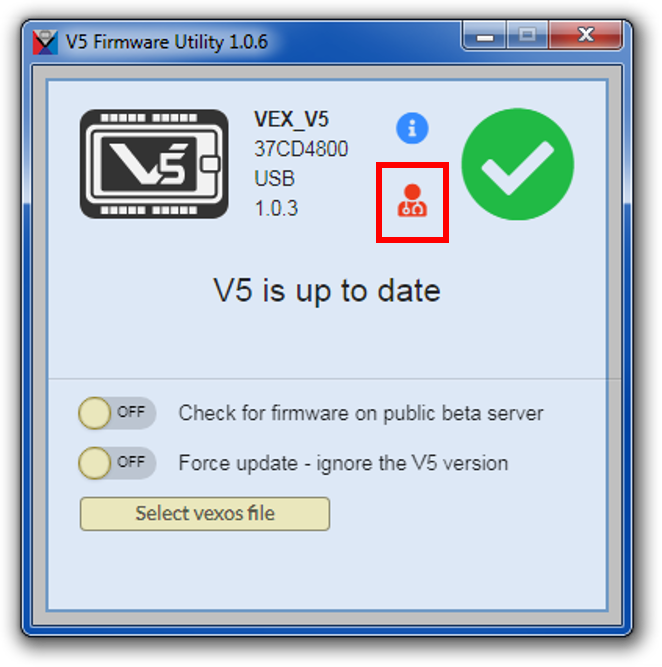 Hold down the Shift and v keys on the computer's keyboard and then click the V5 icon on the V5 Firmware Utility with your mouse. The icon is highlighted above in a red rectangle. Click on the small, red Battery Medic icon that appears under the information icon. The icon is highlighted above in a red rectangle. Recognize that the dark red coloring of some cells indicate that the values in those cells are not ideal. The Pack Voltage is low and there have been more than 50 Over volt errors. Notice that Cell 3 does not seem to be holding a charge because its displayed value is much lower than the other three cells. Replace a V5 Robot Battery that has diagnostics similar to this one with a V5 Robot Battery that has better performance. 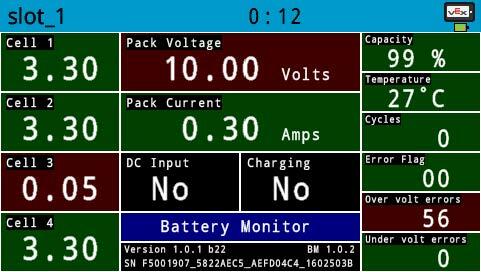 NOTE: The Battery Diagnostics screen is displayed on the V5 Robot Brain.